The Pacific Coast route is the most popular bike touring route in the U.S., according to Mountaineers Books' non-profit partner, the Adventure Cycling Association. 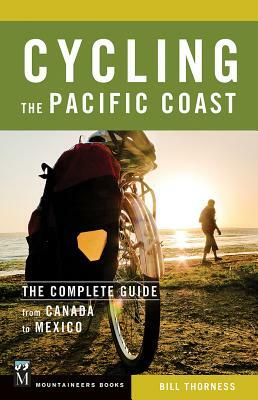 And for 33 years, our very own Bicycling the Pacific Coast was the most popular guidebook to this venerable route--until now Cycling the Pacific Coast continues the trusted legacy with an all-new, completely re-ridden, and fully comprehensive guidebook from Bill Thorness, featuring the most current, up-to-date beta on this amazing route. Alternate routes to take on Vancouver Island (Canada), Washington's Olympic Peninsula, and Northern California's "Lost Coast"
New bike tourers will find equipment information, packing advice, and safety tips, among other helpful trip suggestions. And all riders will find the guidance to experience the trip of a lifetime.